The government of Cameroon has dropped the case of Barrister Michelle Ndoki of the CRM party alongside 50 others. The lawyer, Michelle Ndoki and some 50 other alleged activists appeared at the Court of First Instance in Bonanjo, on Tuesday December 04, 2018. 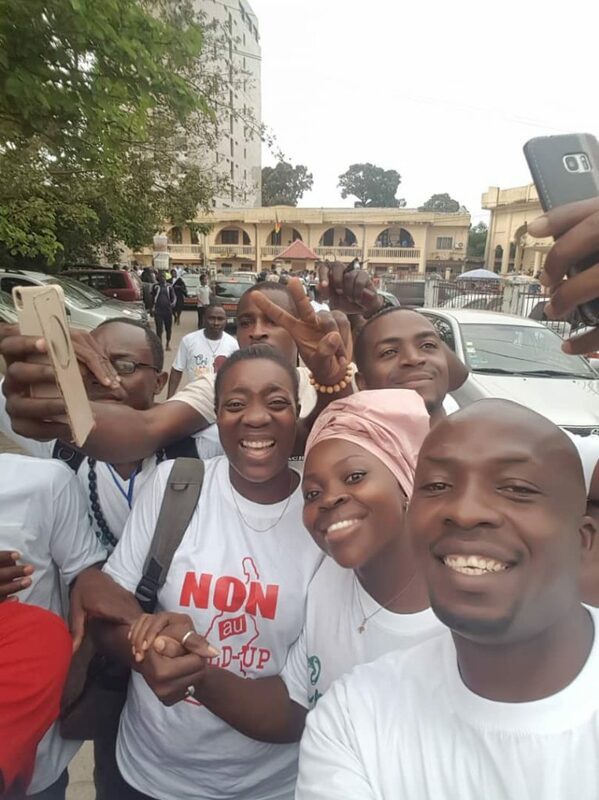 Reports say they were arrested for participating in a peaceful protest organised by the Cameroon Renaissance Movement, CRM against the electoral board. According to reports, the case was discontinued by the Bonanjo Court of First Instance through the Attorney General of the legal department as instructed by the Minister of Justice. Several CRM supporters were present to support Michelle Ndoki, who is known for her distinguished courage during the post electoral litigation at the constitutional council. Cameroonians look forward to knowing the government’s next step.